Subversion: Science Fiction & Fantasy Tales of Challenging the Norm, the first stand-alone anthology Crossed Genres released, will go out of print on December 1 after three years in print. 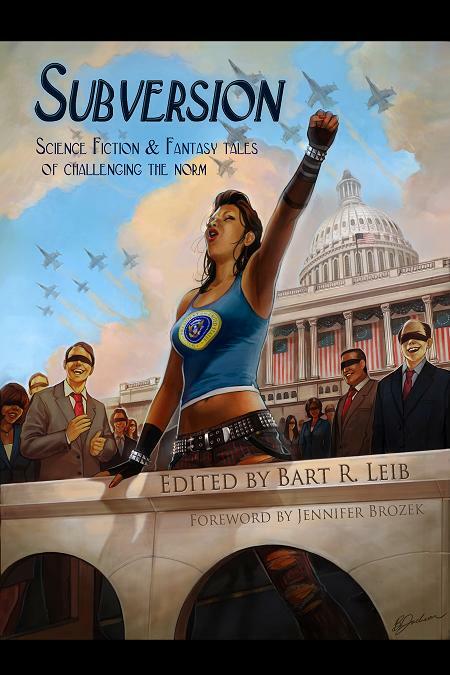 With stories from Cat Rambo, Jean Johnson, Wendy Wagner, Daniel José Older and many more, a thoughtful foreword by Jennifer Brozek, and Brittany Jackson‘s magnificent cover art, Subversion is a rich, varied anthology, and we’re sad to see it leave the CG catalog. You can still purchase a copy of Subversion through November 30. Visit the dedicated page for details and links.